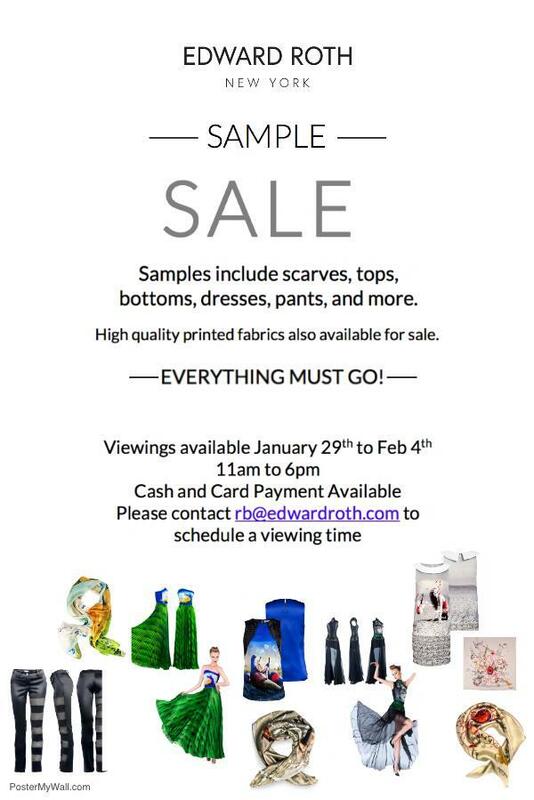 Shop scarves, tops, bottoms, dresses, pants and more at this sample sale in New York from Edward Roth, where there'll also be high quality fabric prints available for sale. Drop an email now to rb@edwardroth.com to book your viewing appointment and they'll send you the full address when you do. Payment is by cash and card.